Story blurb: Adrian Loft sees a strange “vision” ordering him to do something that may subject him to vicious public ridicule and perhaps ruin his career and even his life. Adrian tries desperately to write off the vision as some psychic quirk, but things keep happening to him, things he can’t ignore. Soon Adrian embarks on a journey that will forever change his life, and perhaps yours too. Available in Kindle and Nook ebook formats – 148kb, 120 pages. About the Author: T.L.Peters is an ex-lawyer who enjoys playing Bluegrass Fiddle and giving his dog long walks in the woods. In between he writes novels. Note: This is not a GLBT story. 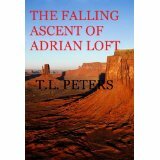 I usually don’t review non-GLBT novels, but when I received a request to review The Falling Ascent of Dorian Loft, by T.L. Peters [T.L. Peters; First edition, 2011], I was so fascinated with the title that I had to agree. There are a lot of good things to be said about this novella-sized story. Journalistically speaking, T. L. Peters has an interesting writing style; very precise, and with a range of vocabulary that one doesn’t generally find in fiction—i.e. “His glandular system was simply responding to powerful internal stimuli.”117, and “There was, of course, another ready explanation, as there almost always was, at least in Adrian’s narrow world of caveats and sine qua nons.” 10. Moreover the characters are vivid and well-defined—if not particularly likable—and the setting is equally vivid. So there is no question that Peters is a master wordsmith—as most lawyers are. The basic premise of the story is that Adrian Loft, a lawyer with the firm Grim and Dire [you just have to love that name], receives a very detailed vision instructing him to go to a certain public location where he will find a book lying on a rusty manhole cover. There, he is to read a certain lengthy passage aloud to strangers. After much hesitation, reflection, rationalization and procrastination (about 50-pages worth) he finally does, and finds a copy of the King James’ version of the Bible, and the passage is the book of “Numbers” where God instructs Moses following the exodus from Egypt. Altogether the process of fulfilling the instructions takes about three months to complete, during which time some incredible things happen in Loft’s life—such as getting arrested and ending up in jail—but in the end his life is dramatically changed from the anaemic, dusty nerd he is portrayed to be, to … Ah, but that would be a spoiler. “Hurry down to the corner of State and Main, between Jake’s Tavern and the whorehouse masquerading as a jazz club, and pick up the black leather bound book lying on the rusted manhole cover, open it to page 126 and read aloud in a strong voice the text beginning at chapter 1. Continue reading until you come to the end of the passage on page 171. If you finish the entire assignment, place the book back onto the manhole cover and your task is complete. If for any reason you are unable to finish, take the book with you and complete the assignment later, either all at once or in installments. Remember that you must read the text aloud in a strong voice in the presence of strangers. When you have read the entire passage in this way, return the book to the manhole cover. Your job is done. Do not be alarmed. You are, after all, a halfway decent lawyer. You can do this. It is really not all that hard.”pg1. The other thing that makes me think the author is telling this story with a wink is his healthy deprecation of the legal profession, and until I learned he was an ex-lawyer I had my suspicions he might be. So, if read with this understanding in mind the over-the-top plot becomes a amusement. However … I did have some issues with his story telling. Having variously been a professor of law, politician and magistrate, I well-know the strategy of, “If you can’t outfox them outtalk them,” from both sides of the situation, and I fear that Mr. Peters’ circumlocution-style of writing has ‘talked’ himself out of a top rating. In short, it rambles insufferably. As I used to tell the lawyers who came before me, “Yes, Yes, that’s all very nice, but what does it have to do with the case? So let’s get on with it,” and I found myself saying this several times while reading this story. I mean, going on for pages about a chili dog or other various and sundry side-issues–as well-written as these might have been–became a frustration after a while. In short, T. L. Stevens is a very capable writer with a sly sense of humour (which I like), and so I say have a read and judge for yourself. Recommended. Three and one-half stars. 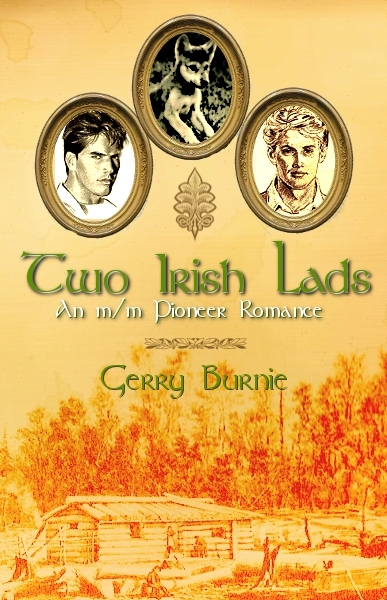 News: This past week I received a preliminary inquiry from a motion picture company regarding the adaptation of Two Irish Lads as a screen play. As I said it’s preliminary, but the lads and I are all excited. May the luck of the Irish prevail. The reworking of Journey to Big Sky to Nor All Thy Tears is coming along well (105/191 pages) and I’m pleased with it. It really is a good story, with lots of drama and pathos, and I think you’re really going to enjoy it. It should be ready for a July release, but in the meantime you can take a peek at Part 1 by clicking right here.